The Fargo-Moorhead RedHawks have re-signed OF Buddy Sosnoskie and acquired RHP Chase Johnson from the Amarillo Sox for a player to be named later and cash. Sosnoskie, 24, batted .339 with 18 doubles, two triples, two home runs, 31 RBIs and 35 runs scored in 53 games for Fargo-Moorhead last season. He stole nine bases and posted a .484 slugging percentage in his first season of professional baseball. 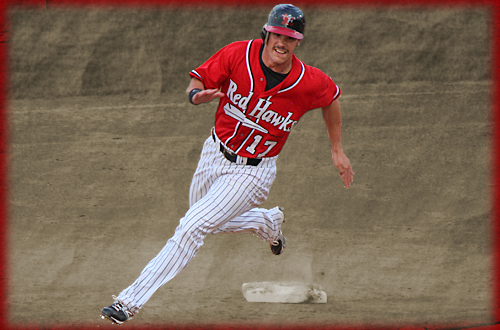 Sosnoskie originally signed with the RedHawks last June after completing his college career at Francis Marion University (SC). Following the season, he had his contract purchased by the Baltimore Orioles organization but he was among the final cuts in spring training this year. Johnson, 24, was 5-5 with a 3.66 ERA and 11 saves in 44 games for the Amarillo Sox in 2012. He allowed 24 runs (19 earned) on 43 hits in 46.2 innings pitched. Johnson struck out 46 batters and walked 22. He finished fourth in the league in games finished and seventh in the league in saves. Johnson began his professional career in 2009 after being selected by the Philadelphia Phillies in the 21st round of the draft. He spent three seasons in the Phillies organization before signing with Amarillo last spring. In his four-year career, he is 10-14 with a 3.83 ERA and 27 saves in 123 games. Johnson has struck out 177 batters in 176.1 innings pitched. Johnson also went to spring training with the Orioles but was among the final cuts. “Chase can pitch the end of the game and that’s important to us,” said Simunic. “He had a solid year in Amarillo and we think he can be a go-to guy in our bullpen this year.